Please note that all members must pay an insurance/registration fee before beginning gymnastics. Insurance is valid from September 1st – August 31st of the following year. CLASS YOUR INTERESTED IN FULL? CALL US 604-888-6658 and let us know, many of our popular classes have waitlists and we are always opening additional class options when we have enough interest! Our exciting active start classes are designed to develop a child’s motor skills and learning behaviors. Enjoy songs, games, circuits and activities that promote physical literacy and the foundation for amazing gymnastics skills to be developed as they grow. 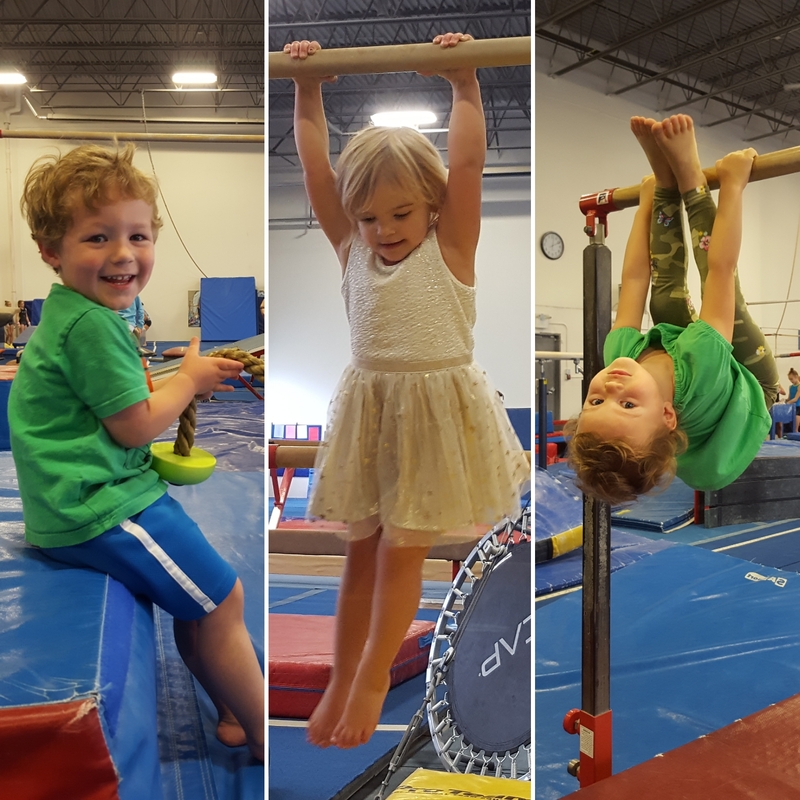 Our recreational program is the perfect place for school aged children to enjoy exploring the sport of gymnastics and develop their fundamental movement skills. During the 1.5 hours of this class the children will enjoy movement games that will improve their cardiovascular fitness, flexibility, strength, agility and coordination. They will explore all the gymnastics equipment including our trampolines and learn basic gymnastics skills improving their overall physical literacy. Our Trampoline and Tumbling program provides a unique opportunity for boys and girls, ages 8 and up, to participate in a specialized program focused on developing trampoline and tumbling skills. Athletes will learn how to properly bounce, land, twist, and spin. This class utilizes the large gymnastics trampolines, the fast track (long trampoline), and the double mini trampoline (in to foam pit).